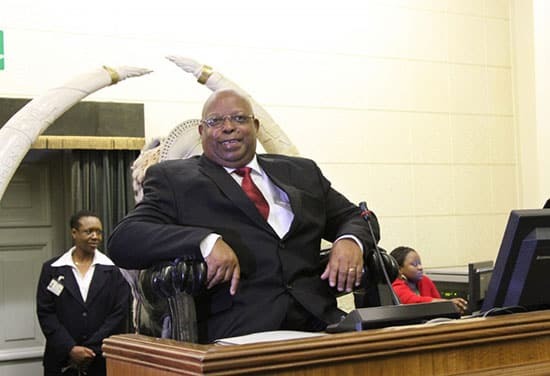 Speaker of Parliament, Advocate Jacob Mudenda has warned African governments, Zimbabwe in particular to be careful when signing “mega deals” with foreign investors to avoid being duped. Mudenda made the remarks while officiating at an awareness workshop on the African Continental Free Trade Area (AfCFTA) where he scoffed at the Harare-Beitbridge dualisation and the Zimbabwe Iron and Steel Company (ZISCO) deals which never materialized. Mudenda said there is need for for the establishment of trade research centres to look into future deals. “Some have argued in the past that many African governments fail to negotiate successfully with foreign investors because they lack strategic skills. “It is better for African governments to have no deal at all than a bad deal. With the right approach, African countries can achieve more than is often the case,” said Mudenda. He scoffed at the Harare-Beitbridge dualisation project which was commissioned by former president Robert Mugabe in 2017 saying the groundbreaking ceremony itself raised a stink as the Vice Chairperson of Geiger International attended instead of the chairman at an event that was being chaired by a head of state. “We witnessed the ground-breaking ceremony of that event when I saw that there was the vice chairman of the Geiger Company, I said to myself, ‘where is the chairman of this company. The president is here and he sends a vice chairman,’ and the speech of the vice chairman was very woolly, you could tell there was no strategy, including the financials,” Mudenda said. This comes as a warning to his boss, President Emmerson Mnangagwa, who since coming into office more than a year ago, has signed countless ‘mega deals’ which to this day have not born fruits despite the hype that followed their signing. Meanwhile, the AfCFTA is meant to sensitize members of parliament on the Continental Free Trade Agreement which Zimbabwe ratified last year together with other 43 African Union member states. The AfCFTA will allow free movement of people, goods and service as well as the establishment of a single currency for Africa.